Tickets for Disney's D23 Expo 2015: The Ultimate Disney Fan Event Go On Sale on August 14th! BURBANK, Calif. – August 6, 2014 – More than 65,000 Disney fans from around the world gathered at the Anaheim Convention Center in 2013 for the third D23 Expo. 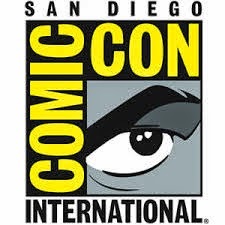 Once again, the Expo will celebrate the past, present, and future of Disney with live events, celebrity appearances, panels, presentations, sneak peeks, and immersive experiences. D23 Expo 2015 marks the return of fan favorites including the Disney Legends Awards, honoring the talented men and women who have made indelible contributions to the Disney legacy; and Treasures of the Walt Disney Archives, which spotlights costumes, props, and set pieces from Disney’s rich history. The name “D23” pays homage to the exciting journey that began in 1923 when Walt Disney opened his first studio in Hollywood. 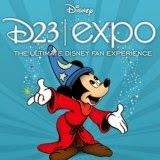 D23 is the first official club for fans in Disney’s 90-plus-year history. It gives its members a greater connection to the entire world of Disney by placing them in the middle of the magic through its quarterly publication, Disney twenty-three; a rich website atD23.com with members-only content; member-exclusive discounts, and special events for D23 Members throughout the year.